André Behr: Christoph what’s private about your new album «private»? As I put together the pieces for this CD I noticed that almost all of them were presents, or had been dedicated to people who are important to me, although some of them are no longer living. That stirred up many memories. The CD is also called «private» because while I am playing and soloing I seem to be holding something back, which is usual for pieces so dedicated. André Behr: How do you make presents out of compositions? I think about the person, I probably have known for a long time and think about the different facets of his/her being and to try to convey these impressions musically. So I create music for various occasions. I like this way of composing, because creating music is something abstract for me. When the music is thought of as a present it’s easier for me to deal with abstract forms. The music becomes less wavering. André Behr: Do you compose in your head? I sit down at the piano and start writing. At the beginning I may connect each person with a certain rhythm or a beautiful melody which suits them. On this basic framework I work like carving on a sculpture. André Behr: Don’t you use your saxophone to compose? No, because the piano has more voices. I always write for saxophone and bass. I’ve only recently begun to provide written instructions for the drums. André Behr: On this CD with Daniel Studer on bass and Marco Käppeli on drums you are using a new rhythm section. Why the change? A band like DAY & TAXI gives me a vehicle to express myself musically. For that I need emancipated musicians who bring with there own ideas as individuals. Changes therefore are predictable. At the moment like allways I am working with real individuals – we still sound fresh. André Behr: Would one notice? Working with these pieces has become freer again. We are improvising more and that puts me in a positive frame of mind again to work with freer forms. André Behr: How did you get the name «DAY & TAXI»? 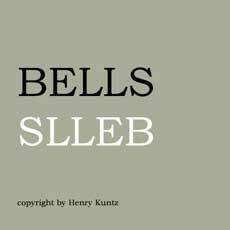 A former girlfriend inspired by looking at a «Gilbert & George» art catalogue came up with the name. I liked it right away. André Behr: One is noticed that a number of pieces on «private» are very short. That’s because my daily life is split into many small parts. I’ m my own manager, I have to look for gigs for the band, I have my own label «Percaso», I produce CD’s and teach. Not much free time left. On the other hand I’m not the guy who writes symphonies. André Behr: Although you studied at the Basel Conservatory? That was only for one year. I didn’t get much further than counterpoint. It just wasn’t my thing. At 25 I was already older than many of the other students. And as well I didn’t like the «classical» sound of the saxophon. In classical music the saxophon always sounded boring to me, – In classical music the saxophon allways has to sound the same way; like a violin always playing with the same vibrato. Boring. André Behr: You wanted to be freer? Sure. I quit school with the idea living as an artist without having a secure income. I am self-taught and have always played free – since I bought my first saxophon at 19 with money from my first job as a security guarde. André Behr: Did you always want to play the saxophone? When I was young I wanted to play the flute, but my parents didn’t allowed me to play an intrument. The desire to learn the flute passed, but not the desire to make music. I am not sure though why I decided to take up the soprano saxophone. My first instrument was a used Czech saxophone which cost 300 Francs. Soprano saxophone is not easy for a beginner to play and with an instrument that looks like a brass clarinet you carry a lower profile than you would with a beatiful curved alto or tenor sax. Not to mention beginning as a free improviser being difficult enough as I was reproached by my teacher at the conservatory about this. First you have to learn the instrument and after you have learned to play blues, swing, jazz and bebop, somewhat the way Coltrane did, then you can wei breaking with tradition and start free improvising. Free improvisisation is the pinnacle of playing music. 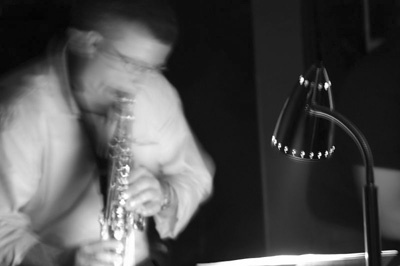 André Behr: Free improvisation has become the basis for your musical career. Who were your teachers? Life itself, and musicians like pianist Urs Voerkel and the bassist Peter K.Frey. I played with them from 1978 to 1982 with the Trio «TIEGEL». They helped me expand my horizons as a free improviser. Or Lindsay L.Cooper the first bassist of «DAY & TAXI». As an old jazzman he was crazy about playing and was always ready to practice, which we did a lot of. He showed me the joy of playing and improvising freely in a jazz idiom. And the soprano saxophonist Steve Lacy, with whom I talked a lot about music and who gave me strength and encouragement to go my own way. André Behr: What turns you on about free improvising? The adventure is never to know where we will end up. It’s like jumping into cold water together with other musicians – we react to one another and come up spontaneously with sounds. It’s called “Instant Composing”. Not knowing where everything will lead to can be wonderful, but also very unsatisfying. For me it become sometimes too indecisive, too open – everything goes. That’s how I began in the mid-80ies weaving composed fragments that were so clear to me; and then I began to write whole pieces. André Behr: What is the difference between free improvisation and free jazz? Freejazz is based on the entire history of jazz – actually it’s sort of powerful music, more from Afro-American musicians and even today, carrying a strong political message. Free improvisation has more aesthetically from western classical music, in particular the contempory music. When you are free improvising you have a higher level of abstraction. André Behr: You came down from this level in the mid-80ies. Did something happen to bring about this change? Maybe the fact that in 1987 in Basel I won a performance performing arts award. The result of which was to work with the artist Beat Streuli, on an art performance. I did the music and he did the visual slides. This performance was called «certainty sympathy» and had its first showing at the «Kunsthalle Basel». The music consisted of 75 parts with notated miniatures, free improvisations, patterns and sound from daily life, we also used analog and digital electronics (Ernst Thoma, later Matthew Ostrowski). It was 45 minutes long and included a cello (Alfred Zimmerlin). You could call it a road movie. I often put together my CD with pieces like a movie director does with scenes to a film. 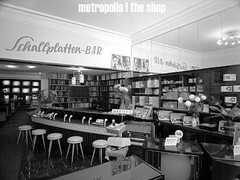 The CD «Mösiöblö, à Robert Filliou» from 2001 for example is clearly a film soundtrack as well. André Behr: The other way round, has anyone thought about using your music as a basis for a film? Until now, not yet. But that could be very exciting. André Behr: Your label “Percaso” stands out because you are always able to encourage artists to design your covers. Where does this artistic flair come from? I have always felt more comfortable in the art scene than in the music scene. I actually wanted to become a painter originally. That’s why at the age of 20 I entered the «Basel School of Art». 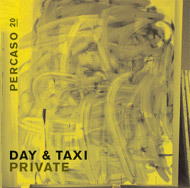 On the «Percaso»-Covers you can see art by artists whose work I especially like. The design of the covers is done by the Danish graphic designer, Anne Hoffmann, «Ms percaso 50%». André Behr: You do your painting with a saxophon now? That would be a compliment, because I enjoy talking about abstraction and pictures in music. Maybe my miniatures which do not contain improvisations and which I call postcards are a kind of painting. Maybe I am able to realize my dream of being a painter with my solo performances too. André Behr: Because you are not dependent on anyone? In a band with different musical personalities there are always some sources of friction. That can be exciting, and I enjoy working with other musicians. But with the band, I have to be able to trust the rhythm section implicitly. I play most clearly and distinctly when I am alone. That’s why I like solo gigs too . I prepare a program with various pieces written down, shorties, squiggles, with very little improvising and I concentrate totally on the performance – the interpretation. André Behr: Do you have a special affinity to literature? 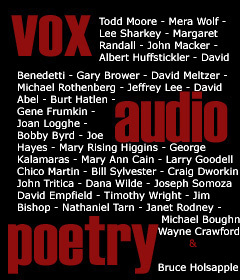 The poet Kurt Aebli is one of my best friends. I love lyrics. André Behr: Do you write music to his poetry? Among others. About two year ago I began working with a new concept. Everyday I write music to a poem. Aside from everything else I do, that’s time for me. Like a carpenter looking at the table he created that day, I know that my day has not been forloren after my work is done. André Behr: Are you making a form of musical diary with these pieces, occasionally to go back and listen to? I never listen to the whole collection. But I put all of these pieces into the computer. I guess that’s a form of diary – which reflects my moods, how I felt at the time. However I accept every piece for what it is, whether bad, average or good. These musical poems are always written for a core group; mezzo-soprano, cello and soprano sax which also could become a clarinet. Sometimes I add a flute or a bass or a trumpet, even to become an octet. But usually they are for trio. I also allow myself about one hour to do this, and use only the notes, the piano offers – no microtones or other sounds. André Behr: Then you impose restrictions on yourself, when you are writing? Composers today have a variety of aesthetical and technical means at their disposal. At some point the artist has to decide. I decided many years ago to work acoustically and not electronically, although I am not dogmatic about this. I’m not interested anymore in finding out what limits an instrument can be used for. One can also bring out virtuosity through tones and sound. André Behr: Then your instrument provides you with the sounds to best express yourself musically? I like the soprano saxophone the best. It’s a strong, brittle instrument. I can express acoustically what I want with it. André Behr: Was minimalism a concept that always interested you? Yes. My first «Percaso»-album «Rauschende Natur» from 1986 is a cassette with repetitive four tone-patterns for solo saxophone. And my first solo LP «Fishland» also from 1986, is a «concept-album». On this album there is one piece with a minimalistic approach. I am trying to suggest a complete blues with the help of only one basic element used by Blues saxophonists. André Behr: Is that a kick – to make something out of very little? I try to make every tone poem a little different. In that way I expand my limits as a composer every day. But my main goal is not just to be innovative anymore. Although it doesn’t bother me to hear “innovative” used to describe my music. When I was younger I tried to define myself through my playing and tried to stand out, as many young musicians do. André Behr: Are you following what today’s younger generation is doing? Partly, although I find the most interesting musicians coming from the electronic music scene or pop at the moment. The young jazz musicians can really play their instruments and have got all the standards down pat. Artists and musicians are gaining recognition everywhere and every big city has a jazz school these days. One can learn, control and evaluate everything. All of these guys are technically tops – they can play better than Charlie Parker, however I am not allways sure what they themselves have to say as musicians. André Behr: What’s important to you? For me it’s important to answer the question: What can you express with music – what can you arouse? Am I strong enough to realize this? What should the ideal line of a melody be. How much from a piece can I leave out and still have a real composition left. I am more concerned today about music itself, with the smallest forms for example, like on this CD. Some pieces may be only a minute long and may tell a simple story, or even no story. André Behr: That means, we can assume that you will also be writing a blues some day? Then you would have experienced the Coltrane way the other way round. Why not. As one gets older, you ask yourself as a musician or artist or writer if you are looking back, back to the past? What became of those people who earlier were innovative, young and wild? Have they stopped, are they burned out or tired, or like before wide-awake, but introspective? André Behr: Maybe they are trying to get to the essence? Could be. Although it’s insignificant whether one looks only to the past or is bent on finding ways to get to the essence. One is quick to slide into the rough, should one neglect the current etiquett connected to the new tendencies and styles. But to get to the essence does not depend on styles or methods. Christoph Gallio: soprano & altosaxophone, Daniel Studer: double bass, Marco Käppeli: drums.